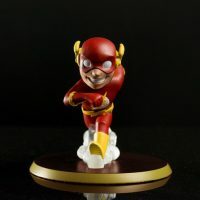 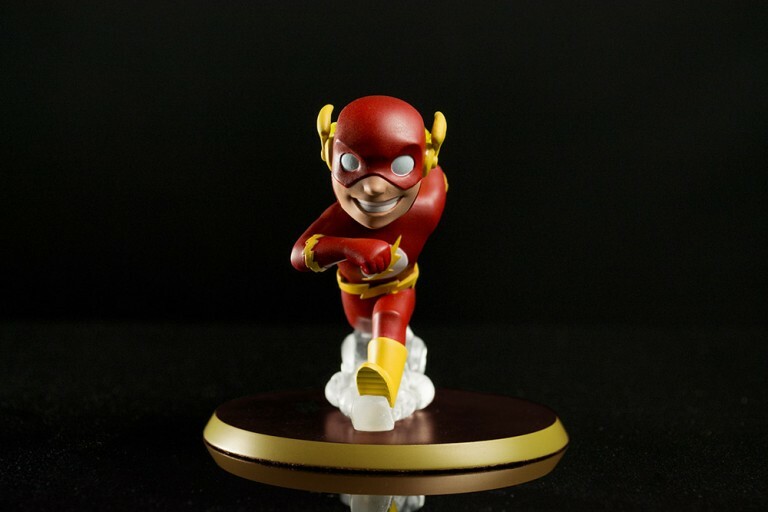 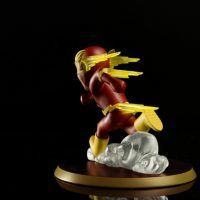 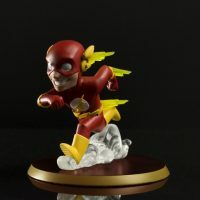 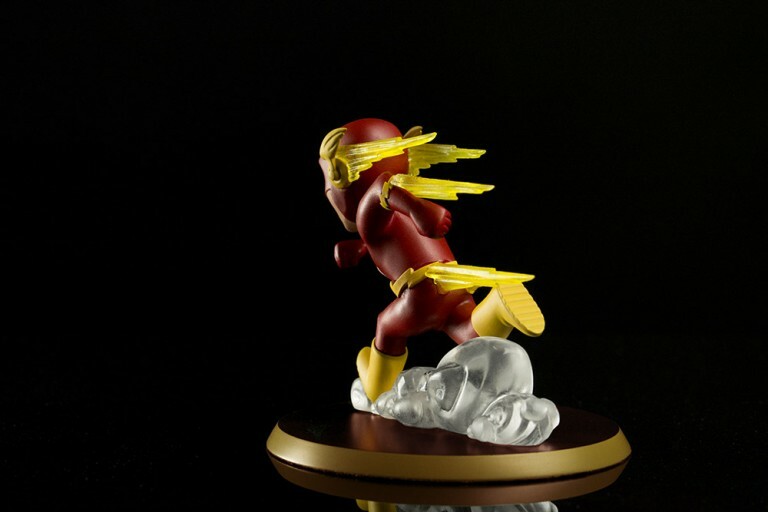 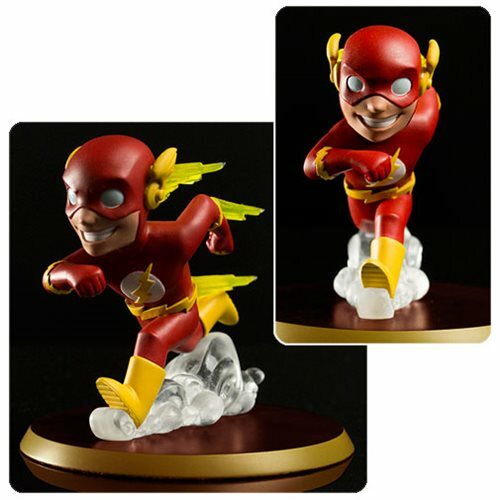 The Scarlet Speedster races onto the scene with the Flash DC Comics Q-Pop Vinyl Figure. 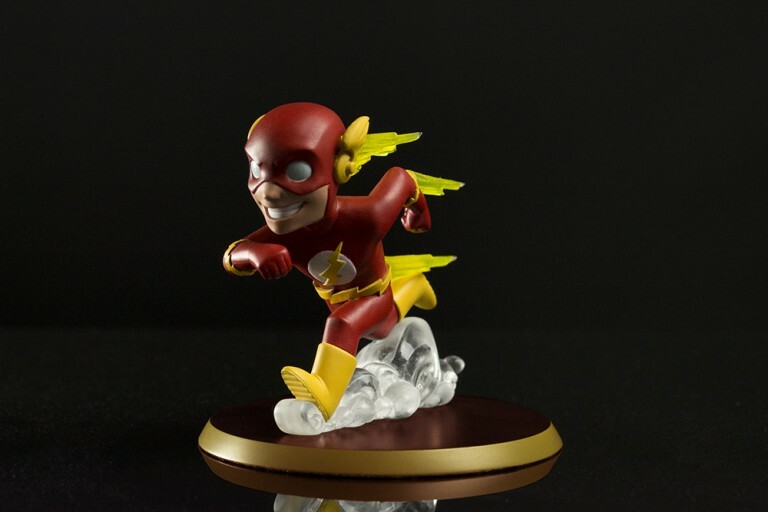 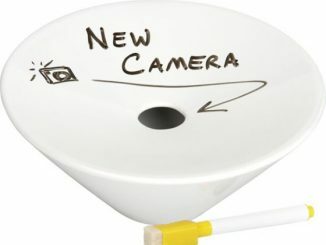 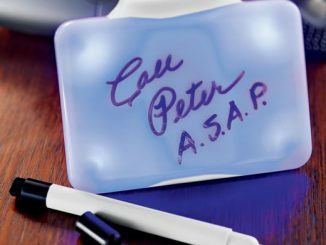 Standing approximately 3 1/2-inches tall, the Flash gets the distinctive Q-Pop treatment, complete with red and gold base, motion effects and a cloud of dust to show-off his super speed, and a word balloon with a whiteboard surface and dry-erase marker that lets you provide either dialogue or sound effects. 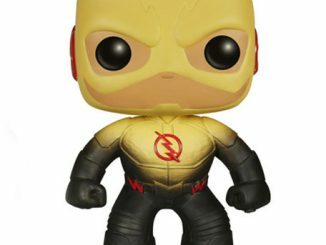 The Flash DC Comics Q-Pop Vinyl Figure will be available June 2016 but it can be pre-ordered now for $14.99 at Entertainment Earth.